Love That Max : What do you see when you watch this video? Sometimes, I have this out-of-body experience when I watch videos of Max. Nothing to be alarmed about, no need to give me the name of a psychiatrist. It's just that I start thinking about how I see him...and how I might have viewed a kid like Max if I'd never had a child with special needs. Or how people who have no kids with disabilities in their lives might see Max. 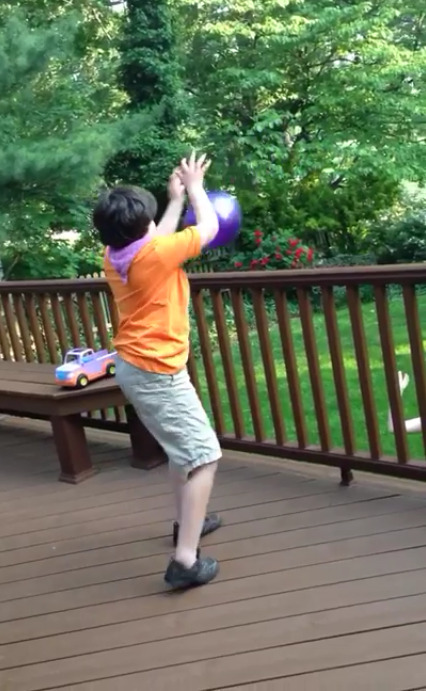 Take this video from yesterday of the kids playing ball in our backyard. If I'd never had Max, here's what I might have most noticed in a video such as this: a cute kid who can't really talk mostly failing to catch the ball, with his sister kindly helping him out. I probably would have felt badly for that boy. A cute kid (Fireman Max!) who is communicating with his sister. A sister who is treating her brother like any other kid in need of pointers for catching a ball. Not out of pity—just your average sibling love, and your average sibling "I'm done now!" A child who's super-focused on the activity at hand. A child confidently successfully bending over to grab a ball, no mean feat for a kid with both fine- and gross-motor-skill impairment. A child throwing a ball with both hands—again, not easy for a kid with physical challenges. Score! A child succeeding in catching a ball using both hands. He caught the ball! He caught the ball! A child who isn't deterred by fails—and who keeps his sense of humor. A child who, like any kid, likes to play. It's like that famous optical illusion in which you either notice a young lady or an old woman. When when you jerk yourself out of your usual way of looking at things and consider it with a different eye, you can see it in a whole new light. Ability, not just disability. Efforts and achievements to be celebrated, not pitied. Max has transformed my perspective of disability. And one of my greatest goals as his mom is to help other people do the same. I see two kids happy to be playing and one of them is giving it his all despite challenges and has a wonderful attitude. 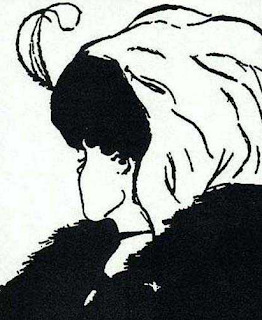 I have seen the optical illusion before and I have never been able to see the old woman. A child who said a clear "yes" (not eeeyeah), and who really lucked out in the sibling department (as will the new baby). I see cute awesome determinated kids. You are, you really are (transforming people's perspective of disability)!